The supermarket shelves are overloaded and the consumers can’t see the wood for the trees, thanks to the extensive assortments showcased. And thus the consumer product companies have to do anything to attract the attention of the consumer to seduce him to make the purchase. Packaging designs as well as the excessively printed graphics are crying out for attention, but it seldom leads to extravagance. That aspect you see only in the spring water, spirits, wine and champagne market segments, where the manufacturer intently creates a high exclusivity for himself and his product, targeting the top of the market, not infrequently turning the product presentation into idiocy. It is obvious that the question: “Is it or is it not extravagance,” for simple (spring) water is answered at much a lower level than for champagne and other exclusive spirits. When a consumer has to pay USD 8,00 or USD 10,00 for a 750 ml (although luxuriously designed) bottle of ordinary water, it can be called extravagance. However I laid the bar much higher. The here described Bling spring water will cost you roughly USD 40,00 or more a bottle. Evian takes the cake with its exclusive Alpine spring water in a limited edition bottle baptized Ice Queen, which goes for a minimum of USD 1.000. 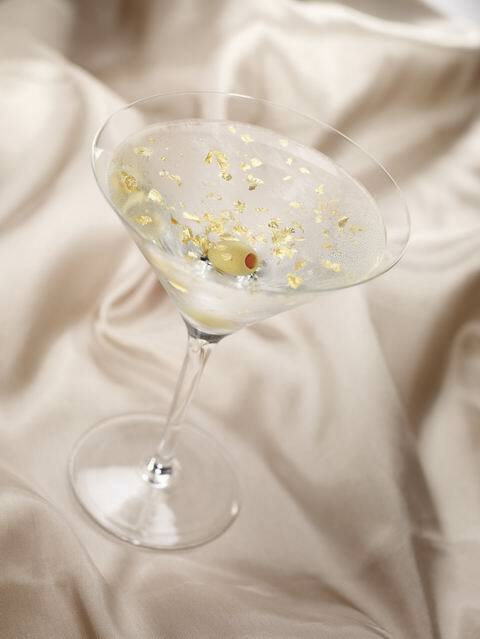 The other, here described examples are: Gold Flakes vodka with edible gold flakes which sells for USD 60,00 a bottle. Although the price is not extravagant, the design surely is. The next example is the very limited edition of Bombay Sapphire Dry Gin for USD 200.000 (Yes, you read correctly: two hundred thousand USdollars). Super extravagant, even with the entire proceeds going to a charity. Last but not least Veuve Clicquot’s rose champagne with a packaging that includes the champagne and a champagne cooler. Just USD 4.500. Consumers buy bottled water for convenience, as a healthy refreshment or because of concerns about the quality of tap water. Bottled water sales have increased about 10 percent a year for the last decades, and some four years ago they passed sales of coffee, beer and milk in volume. But that is simple bottled water, a mass product, of which the consumer mostly doesn’t know where it is coming from. Ah, but there are magnificent springs in this world with crystal clear water and the companies which bottle from these springs like to be recognised in the world. Water for the upper class, the happy few. The bottle of Bling Beverages LLC, Beverly Hills, Calif., supplied by Saint-Gobain Containers and Vitro Packaging, is an acid etched frosted glass bottle hand-decorated with the most beautiful and luxurious genuine Swarovski crystals. 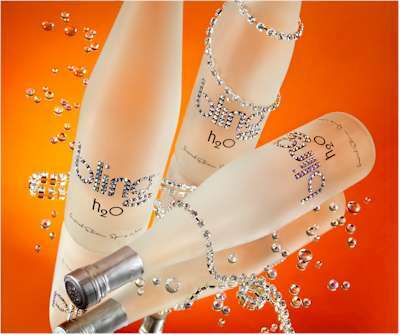 Bling h2O, the creation of Hollywood producer Kevin Boyd, is available in 750- and 375-ml bottles, each size decorated with 60 genuine crystals. At the peak of ridiculousness, Bling offers the Swarovski crystal laced bottles of water at USD 34,95 per 750ml. Ridiculous or not, Bling h2O is an award winning water in an award winning frosted glass bottle with genuine Swarovski crystals and in the marketplace (bars and clubs, the product’s primary distribution channel), it often sells for substantially more. Custom Beverage Solutions served as the product development consultant for this brand, strategically positioned to target the expanding luxury consumer market. Much of the USD 35 is due to the “limited edition” bottle decked out in Swarovski crystals. Billed as “couture water”, it seemed as if people in Hollywood are flaunting their bottled water like it is part of their life-style. Whether the bottles had a cool shape or came from an exotic island, none truly made that definition, except Bling h2O. Arguably the most expensive bottled water in the world, before Evian came with its Ice Queen bottle, Bling h2o is clearly making water history. Bottled at the Source in Tennessee, the water is a winner of the Berkeley Springs International Water Tasting Award. The spring flows a mere 275 m from the bottling facility thus reducing the possibility of contamination. Over the last decade, the name Swarovski has become widely recognized as the brand that provides the sparkle on Oscar gowns, trendy iPod covers and Paris Hilton’s crystal-crusted mobile phone. Crystals are fairly uncomplicated to produce: a combination of quartz sand and water melted at high temperatures. The rhinestone crystals, most often seen, are diamond like, clear and without colour. Its value as a luxury commodity comes from the perception of its quality and design, while the name Swarovski adds a certain prestige to a design. And it also raises the price. Evian, one of the world’s premier bottled water brands, is owned by the France-based Danone group. In 2001 the group became the world’s largest producer of bottled waters (in terms of volume). But that’s not all. Since 1926 Evian is arguably, the No 1 in natural spring water in terms of quality. According to the factory every drop of Evian takes over 15 years to filter through the mineral rich glacial sediments in the pristine French Alps. Evian comes from the Cachat Spring located on the Southern shore of Lake Geneva, in the town of Evian-les-Bains and is bottled at the source. To commemorate this exceptional position, Evian introduces, each year, a limited edition of its exceptional water in an exceptional bottle. This year there are two designs. There is the one for the common consumer, who likes to go luxuriously once in his life. And there is the one for the happy few. 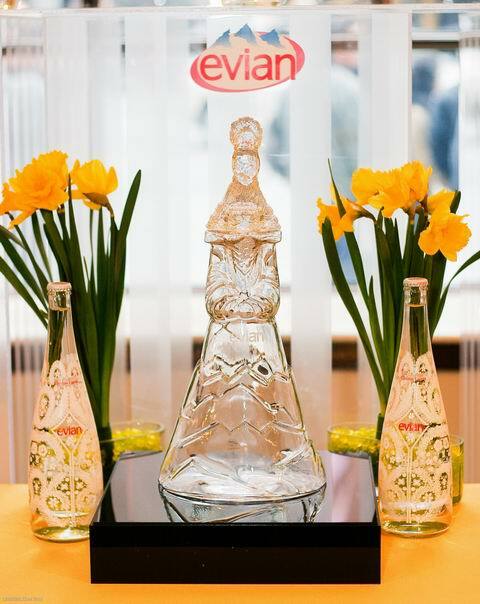 The Evian Prêt-à-Porter has a frosted lace pattern over the bottle, while the Haute Couture version is bottled with the same spring water but in an exclusive glass bottle in the shape of an ice queen with a voluminous alpine skirt. The famous French fashion designer Christian Lacroix created both bottles. The 750 ml Prêt-à-Porter hit the market in Canada for around USD 6,00, although up-market restaurants will charge you USD 9,99. The bottle, surely becoming a collectible, will end up at eBay, where the standard Lacroix bottle is offered at this moment for USD 50,00. The Haute Couture bottle is a different story. Only 99 pieces have been created, which will be auctioned for a charity starting at USD 1.000. Doubtful that one will appear at eBay. With creating new and innovative packaging Evian is not entering an unknown battlefield. The global premium spring water leader has been involved in fashionable packaging for decades. Unique designs like the Nomad sports bottle, the limited edition teardrop glass bottle, the flip-cap bottle, the 2007 French Alps bottle and the 2006 limited edition of Romero Britto glass bottle prove that Evian’s commitment to packaging is firmly rooted. With the limited edition of Lacroix’s 2008 Ice Queen Evian obviously remains committed to providing creative appeal, premium style, and a luxurious experience to its consumers. Bombay Sapphire London Dry Gin is a quality gin from the house of Bacardi and reports to be special due to the ten different plants used to flavour the gin. The brand is well-known around the world for its striking, translucent blue glass bottle design. Having the aureole of exclusivity and craftsmanship, it is fitting then that through its links with the global design community, Bombay Sapphire supports the inspirational designs of international artists, designers and architects resulting in a highly limited edition of a very unusual bottle design. Described as an artful collaboration between the distiller, the crystal polisher, the jeweller and the designer, Bombay Sapphire Revelation is a collection of only five absolutely breathtaking luxurious bottles. 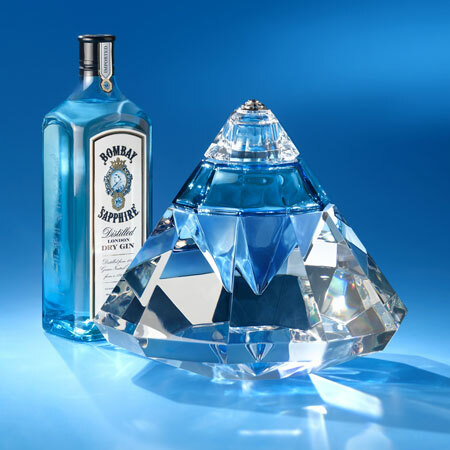 The bottles are honed in the shape of giant gemstones with 10-facets, each facet representing one of the botanical ingredients of Bombay Sapphire Dry Gin. All five bottles are identical with exception of the closures, which are each uniquely decorated with diamonds and sapphires. 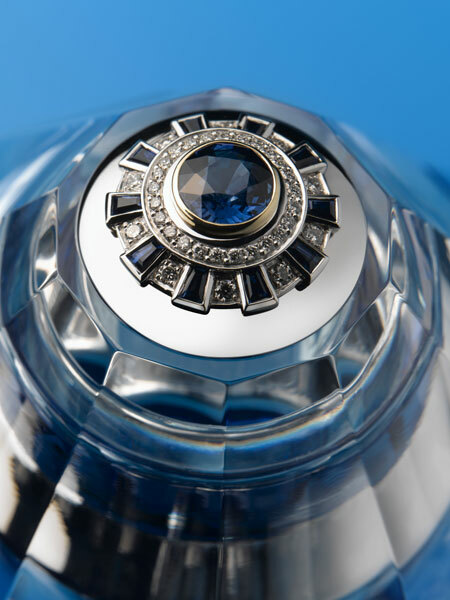 The well-known Karim Rashid designed the five Revelation bottles, which were hand-crafted, honed and polished in France by crystal craftsman Baccarat, after which the British Garrard, the oldest jewellery house in the world, took care of the decoration with the diamonds and sapphires. Bacardi had simply to fill the bottles with the high quality gin. The value of the collection is USD 1 million, but each bottle (price USD 200.000) will be exhibited separately, during a period of three months, at one of five international airports (London, New York, Dubai, Sydney and Singapore) around the world. The proceeds of the sale will go to the charity, The Smile Train, which provides life-enhancing cleft surgery to children in poor countries. Along with the beautiful Revelation bottle the new owners will also receive a year’s supply of Bombay Sapphire gin. Gold Flakes Supreme is a French quadruple-distilled vodka, made with 24-karat gold flakes that float and glitter magically in the glass. 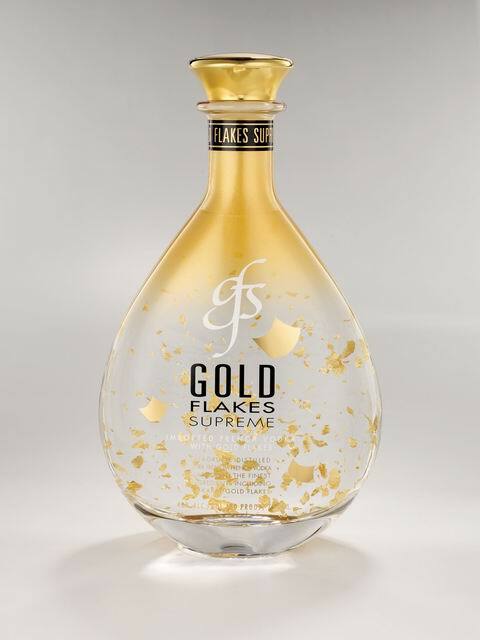 Everything is special with Gold Flakes Supreme, the bottle as well as the liquid. It is an ultra-premium vodka drawn from crystal clear filtered underground spring water and distilled with the most expansive natural ingredients and adorned with 24-karat edible gold flakes, which float and glitter in the liquid. In the USA this unique French vodka is marketed by Shaw-Ross Importers for USD 60,00 a 750ml bottle. Despite all its exclusivity, the unique ingredients, the with gold plated bottle and the edible gold flakes, this vodka costs only USD 60,00. You wonder whether it is all gold that glitters. By the way never you are able to compare a martini mixed with this vodka, despite all its gold glittering, with the true extravagant and famous martinis as the “Engagement Ring Martini” or the one with the pearl at the bottom, but trendy clubs and upscale bars are starting to sell Gold Flakes as the next “it” thing in the world of glamorous drinking. For Karim Rashid it is the second collaboration with the Veuve Clicquot Champagne House, celebrating Veuve Clicquot’s Pink Champagne. 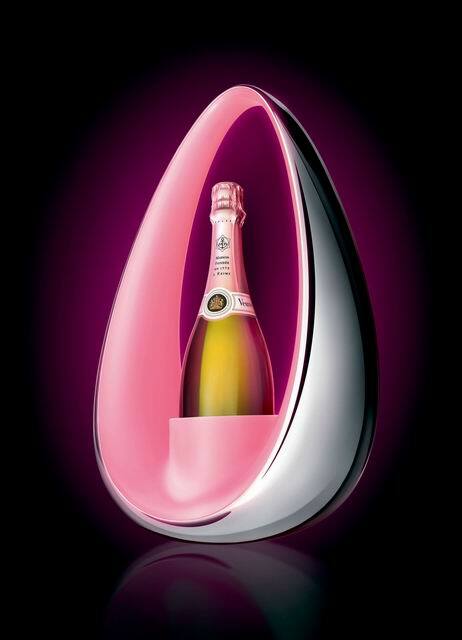 With Karim Rashid’s sweeping pink lines and feminine appeal, this Veuve Clicquot Globalight limited edition champagne cooler, he designed, intends to “encapsulate the bottle with warmth” and surround it with light. Karim Rashid is no stranger to luxury, as we have seen his designs for the extravagant bottle of Bombay Sapphire Dry Gin. This is the latest collaboration between Veuve Clicquot and leading designers such as Andre Putman, Pablo Reinoso, Pucci, Christophe Pillet, Christian Schwamkrug of Porsche Design Studio, and Jason Bruges. Reportedly Rashid drew his inspiration from a random brainstorming scribble and the idea of a purse or handbag. The creation serves 3 functions: serving as a way to showcase and carry the champagne, cooling the champagne, and lighting the champagne. A bottle of Veuve Clicquot Rose will remain chilled for 4 hours and the LED lights will give a soft glow for the same time, making Globalight also an ideal accessory for exclusive outdoor entertaining. Only 500 Globalights have been created worldwide. In the United States, they will be available from May on at http://www.e-clicquot.com for a suggested retail price of USD 4.500. I know there are many more packages out there which you could classify as extravagant, but never forget that the term “extravagance” is a relative conception which definition often says more about the person than about the object. What is extravagant for me might just be luxurious for any other, or even common. As soon as it is a product exclusively for the snobbish or blasé populace and the used materials don’t have a technological function and the price of the final product is in disparity with the value of the product to be consumed, you can speak, in my opinion, of an extravagant packaging.